Coming to Genoa for the Film Festival offers you the right chance to spend the night in a glamorous location, worth being mentioned as a film setting. 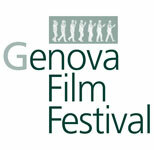 Genoa Film Festival introduces different and competitive areas, dealing with short films and documentaries, and with its wide range of international festivals, elaborations about Italian cinema, cinema lessons and meetings promotes and supports young and new authors, and truly studies and analyzes Italian and international cinema trends. At the special rate of 259.00 Euros.